Love eCampus.com? Nominate us for the About.com Readers’ Choice Award! 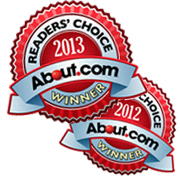 Thanks to everyone who nominated us for the About.com Readers’ Choice Award. 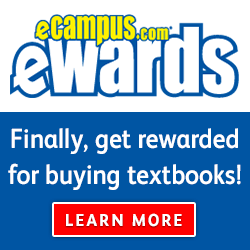 We are officially a nominee in the category Best Site to Buy College Textbooks! Please help us win this award and head to the link below and vote for eCampus.com. Voting is open until March 21st and you can vote each day. Thank you again in advance for your votes! We appreciate it! Love eCampus.com and all of the money it has saved you!? Help us to win two awesome awards from About.com! We are thrilled to be eligible for two categories, Best Site for Buying College Textbooks and Best Site for Renting College Textbooks. 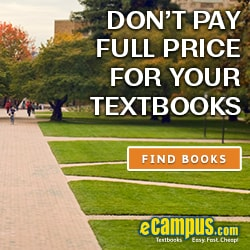 Here at eCampus.com we try our hardest to be the best resource for college students when it comes to textbooks! In 2011 we were able to save students over $13 million dollars and that is a ton of dough. Not only did we save students tons of money, but we also gave students a ton of stuff. We have given away over $15,000 in awesome prizes and scholarships in 2011! The eCampus.com Blog is also trying to do its part and giving useful information to college students that is written by college students. You have until February 15th to submit your nominations. Online voting will take place from February 22nd – March 21st and hopefully we will be announced as the winner on March 30th! Thank you in advance to anyone and everyone who nominates and votes for us! We love you all! On Sunday September 12, 2010 MTV aired the Video Music Awards. Chelsea Handler hosted the 26th annual VMAs in Los Angels, California. The evening began when stars flooded the white carpet, some looking their best, and some not so much. Guests included major celebrities like Lady Gaga, Drake, Kanye West, Taylor Swift, Justin Beiber, Usher, Nicki Minaj, Eminem, Trey Songz, Katy Perry, and the casts of The Jersey Shore and Glee. The night was full of awards and Lady Gaga. Fans went gaga for Lady Gaga awarding her eight VMAs, the most of the night. Eminem was awarded two awards for Best Male Video and Best Hip-Hop Video. Breakthrough Video: The Black Keys- Tighten UpGuests were entertained by performances from Eminem and Rihanna, Usher, Justin Beiber, Florance + The Machine, N.E.R.D. and Ciara, Taylor Swift, Kanye West, Linkin Park, B.O.B, Bruno Mars, and Hayley Williams, Drake, Mary J Blige, and Swizz Beatz. Cher made a surprise appearance on stage to give out an award to Lady Gaga in a meat costume. Meat costume? Yes, I said meat. Justin Beiber showed off his drumming skills while Taylor Swift unleashed a new song on her upcoming new album “Speak Now”. GASP, Kanye West and Taylor Swift were in the same room? Luckily, Kanye was able to stay seated during Taylor’s performance, this time. Although awards were given and performances rocked the room, critics might say that the night lacked drama. It didn’t have a “moment”. I guess there is always hope for next year. The best part of the night could probably not be put into one moment. Maybe it was the three different, uniquely interesting, outfits that Lady Gaga appeared on stage in. The best performance of the night was Eminem singing his hit song Not Afraid and then being joined by Rihanna to sing Love the Way You Lie. Chelsea Handler’s host job was not getting rave reviews, some saying that a few of her jokes got old and were offensive. What was your favorite part of the night? Who do you think gave the best performance? Who was the best dressed of the night? The worst? Do you think someone else deserved to receive an award? Are there any awards that you think should be created? Who should be next year’s host?